“’ULU.” The word rolls off the tongue but may be unfamiliar to mainland folks. 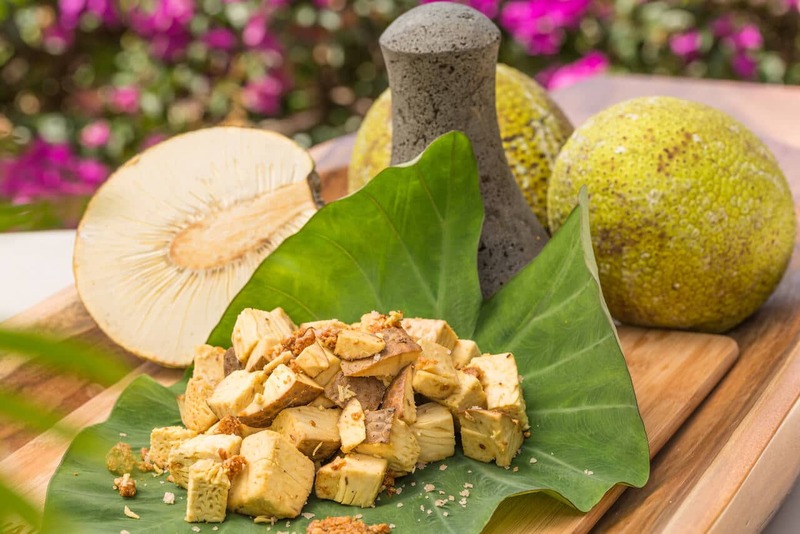 Also known as breadfruit, ‘ulu is a local produce found on the Hawaiian Islands and in the Caribbean, South Asia, and Polynesia that is nutritious, delicious, underutilized, and extremely versatile—it can be enjoyed and prepared as a fruit or a vegetable. When roasted, it resembles baked bread. When ripe, you can eat the soft, pudding-like texture like a custard. An ancient example of modern-day sustainable agriculture, the life of an ‘ulu tree spans decades. As legend has it, the god Ku transformed himself into an ‘ulu tree to feed his human family and spread the fruit trees throughout the Hawaiian Islands. The islands are rich with folklore related to the plant. One of the highest yielding food trees on earth, one tree can produce over 100 to 200 fruits in a year’s time with little effort, and they grow well in backyards as well as on farms among other varieties of trees. The trees are fast-growing and require very little labor, fertilizer, or pesticides compared to other crops. Scientists also believe that ‘ulu could be a way to combat hunger and malnourishment in subtropical climates like Haiti and Jamaica where the tree could easily flourish. What are the health benefits of ‘ulu? It’s considered a superfood not only because one fruit feeds an entire family and there’s enough fruit on the islands to feed the whole population, but due to its nutritional value. It’s sometimes called the tree potato for how versatile it is in cooked dishes and for how it tastes when it’s mature. But it higher in protein, fiber, vitamins, and minerals than white potatoes. You can eat and enjoy ‘ulu at any stage. When it’s green and hard, it tastes like an artichoke. When it’s mature, it tastes and cooks like a potato or other root vegetable. When very ripe, it’s sweet and is enjoyed like fruit or dessert. At the size of a small basketball, this green-colored fruit can be made into pancakes, stews, soups, salads, casseroles, bread, and dips. It can be formed into vegetarian burgers. It can be marinated or pickled or used in curries. I don’t live in Hawaii, so where can I get breadfruit? 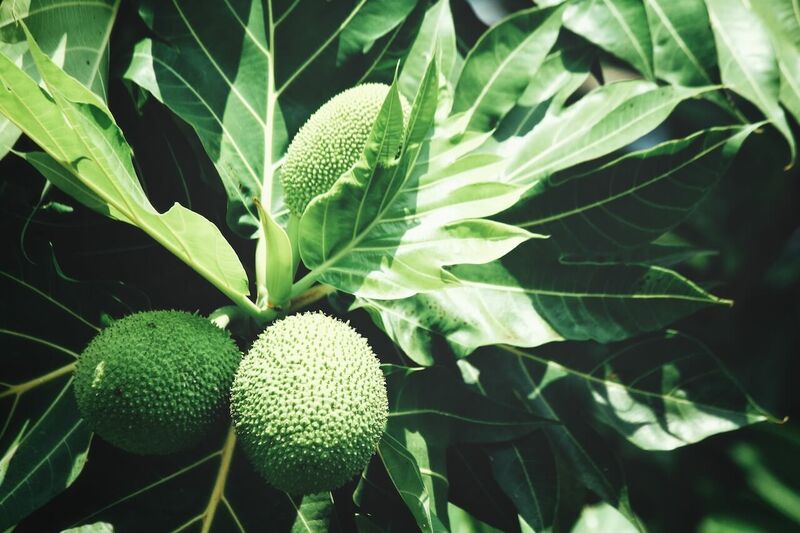 If shopping local specialty grocery stores, you may not find breadfruit. 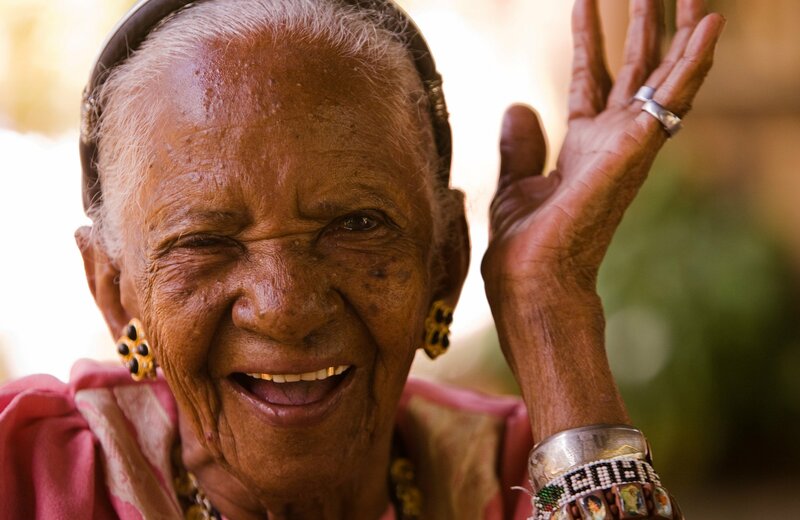 It is available for shipment from the Hawaiian Islands through several distributors and Amazon. On the Big Island of Hawaii, 16 different organizations have banded together for the sustainability “Ulu Project.” Together, they are promoting breadfruit in areas of research, culture, history, and environmental forums to address food insecurity on the island.